Does anyone feel that 2 strokes could have had a bigger impact on the dual-sport/adventure platform? Normally when I think of these areas of the motorcycle market, models such as Suzuki’s V-Strom 650 and KTM’s Adventure Range come to mind. But who says that a humble 2-stroke couldn’t do the same job as some of these bikes? 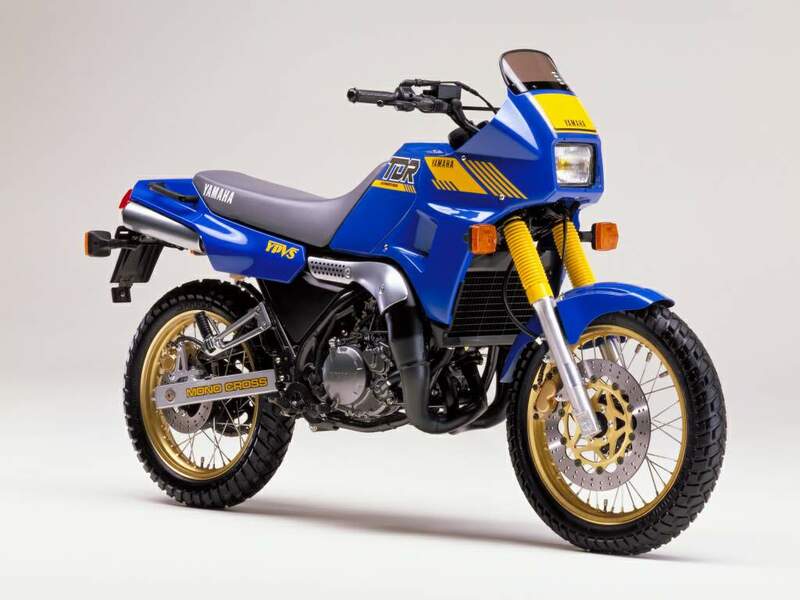 Back in the 80’s, Yamaha produced a twin cylinder, 2 stroke called the TDR250. Although the old girl does look big and bulky by today’s standards, the frame housed a TZR250 engine, meaning that it had plenty of poke! The original, 2-stroke dual-sports bike! Since then, we haven’t seen any other smokers in this area of the market, other than people making their own. So, if Yamaha was to produce a modern version of the TDR, what would we be looking at? A mock up of a potential, dual-sports weapon! 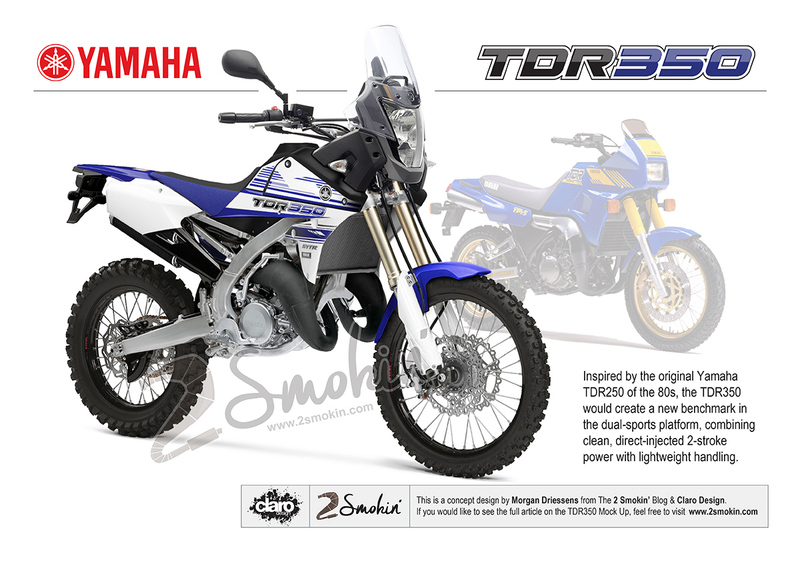 Inspired by the original Yamaha TDR250, the TDR350 would create a new benchmark in the dual-sports platform, combining clean, direct-injected 2-stroke power with lightweight handling. 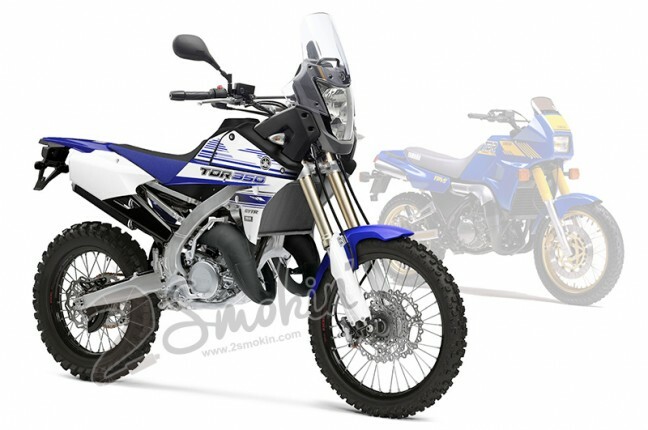 Equipped with a 350cc twin and 6-speed wide ratio gearbox, the TDR350 would be an excellent candidate for touring. With Yamaha’s rich heritage in producing outstanding 350cc engines, such as the RD350LC, RZ350 & TZ350, the 350cc powerplant would aim to provide the same great traits that made so many people fall for these models all those years ago. Heck, the fanbase for Yamaha’s Banshee 350 is so huge, people are building drag quads with big-bore kits of more than 611cc! Meeting emissions would be key, as well as producing smooth power and efficient fuel economy. 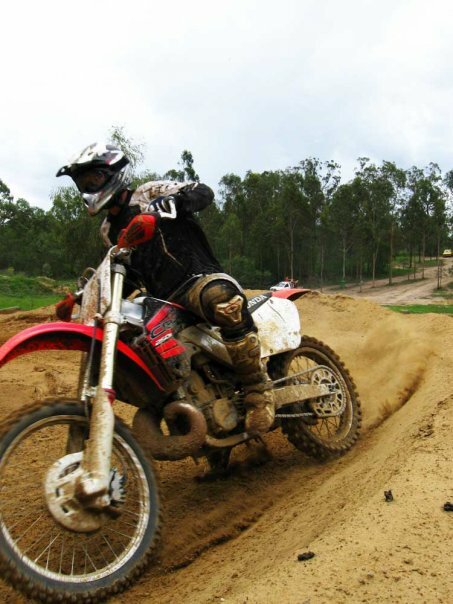 The bike also utilizes various componentry from the current YZ125, the YZ450F and the XTZ660 Tenere, reducing cost of developing unnecessary parts. Hurrah for your great website ! By Facebook, I have given the link to my contact at Yam Motors France and who knows what will happen ? Thank you for passing it on to Yamaha Motor France Mark! I hope they will like the idea and finally give the world another 2 cylinder 2-stroke street beast!